Sesame Rice/ Til Rice/ Ellu Sadam. Sesame Rice.. This is the authentic South Indian Dish. Most of the time this rice is prepared at homes or even in temples to offer god as only "Prasadam" on festivals along with many other dishes.. 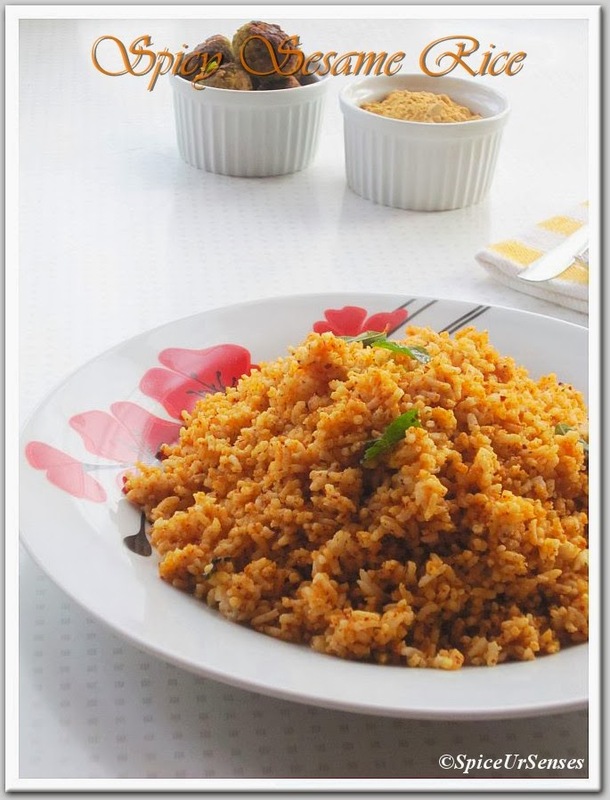 I had sesame rice in one of my close friend house and I had asked for the recipe and forgot. Day before yesterday the weather was very cold here and I was craving for some hot and spicy rice, which will not take more then 10 to 15 minutes to cook. I had kept the rice to cook and thought of browsing internet for some recipe, then I found one which refreshed my memory and I planed to cook sesame rice.. 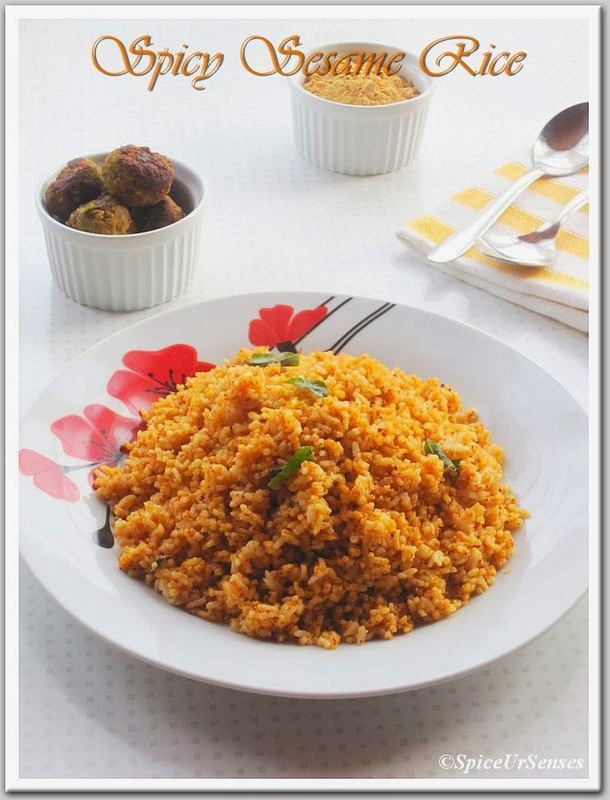 It was very simple and very very easy dish to cook and I can't tell you how tasty it was.. It saves lot of time and serves the best meal of the day along with some side dish..
5 to 6 curry leaves. In a frying pan, dry roast the above ingredients and coarsely grind. set it aside. 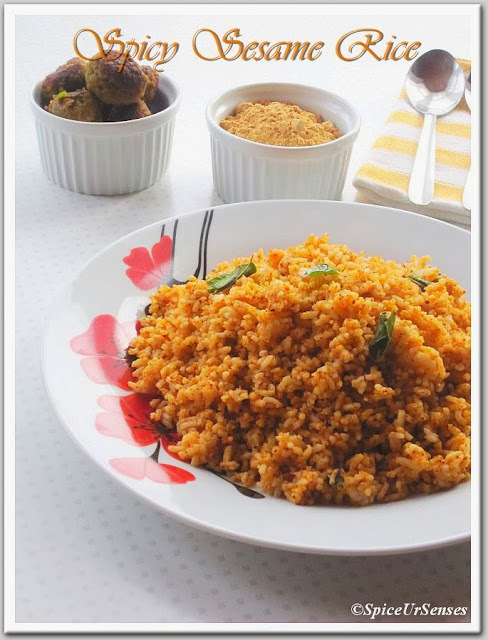 In a same frying pan add oil/ghee, when oil is hot, add hing and curry leaves, when they splutter, add rice and grounded powder and mix it nice and cook for few sec. Then take out in a serving bowl. 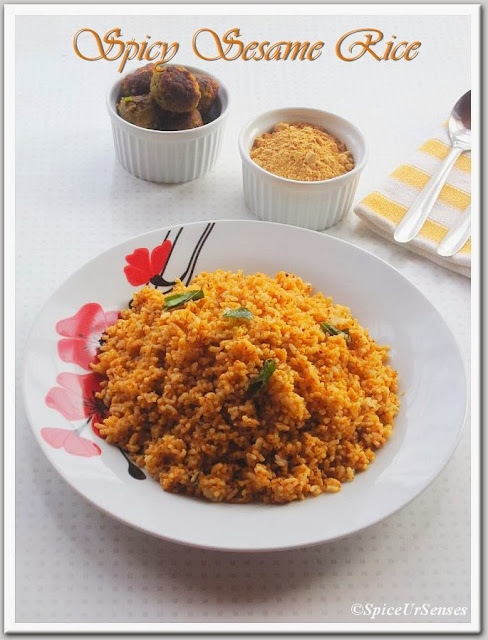 Serve warm with Papad, mixture or any side dish of your choice..
looks too good.. like its color..
Easy and tasty rice. Looks delicious. 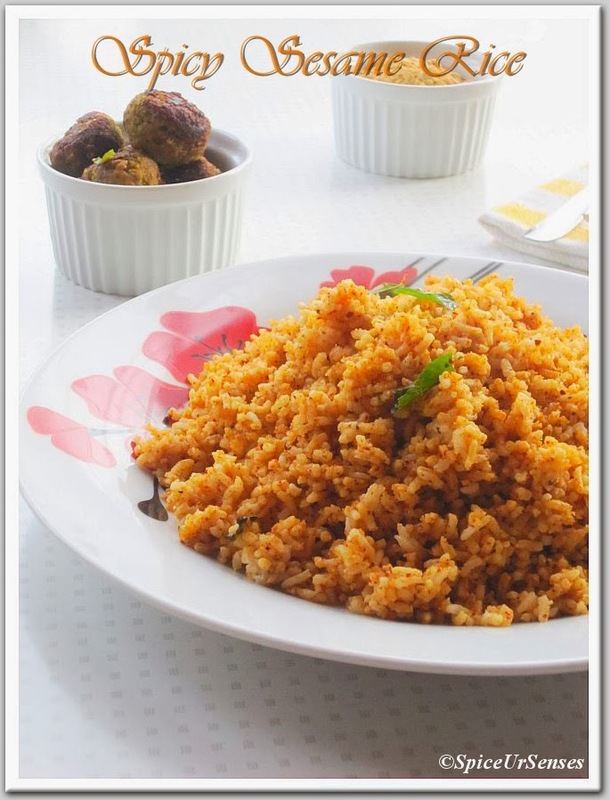 looks perfect dear.. yummy rice..
delicious and healthy one pot meal. Very delicious and flavourful rice. very very flavorful and so inviting rice :) tempting me dear ! !